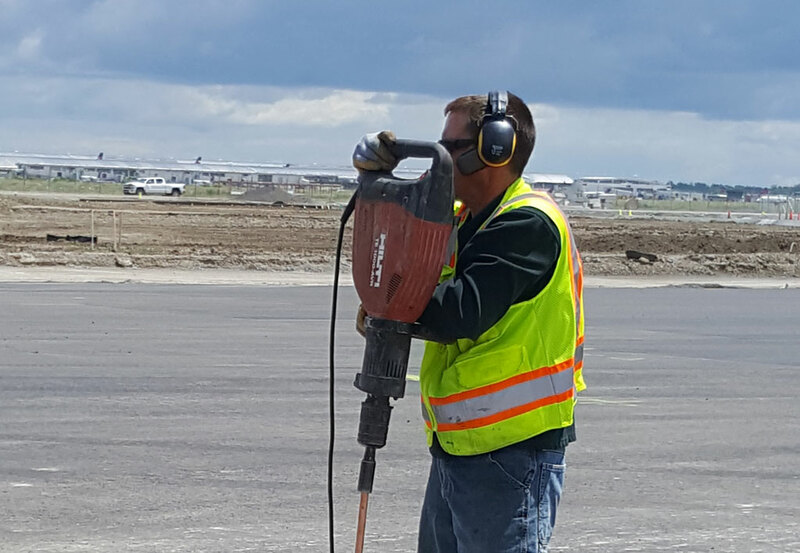 DTW Reconstruction of Runway 4L/22R & Associated Taxiways - Arora Engineers, Inc.
Arora recently completed contract documents for all professional electrical engineering tasks associated with the pavement rehabilitation of Runway 4L/22R and associated taxiways. 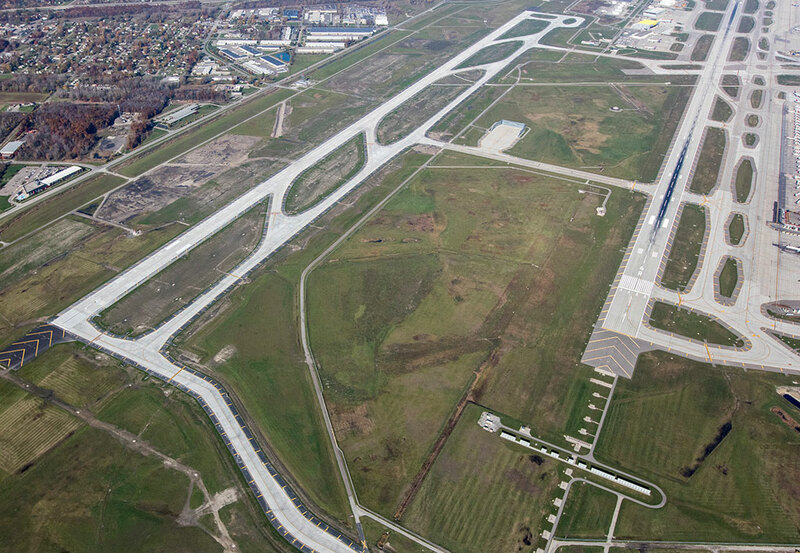 The associated taxiways included Taxiways N, N1, N2, Q, R, and V. The project primarily included full depth removal of the existing pavement section and replacement with new PCC sections as proposed by RS&H (Prime), which impacted several existing runway airfield systems. The modified airfield systems included the existing lighting, signage, and underground distribution. The existing runway centerline, edge light, and touchdown zone lighting systems were upgraded to LED with existing conduit/light base cans being removed, disposed of, and replaced. 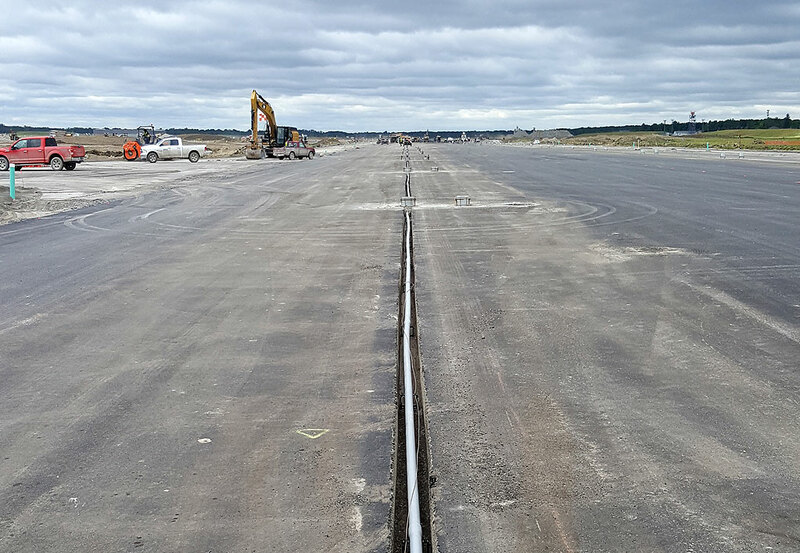 Lighting for the connector taxiway (centerline, guard lighting) was also designed to be LED in conjunction with the existing reinstalled LED taxiway edge lights on new infrastructure. Additional design elements included a pavement surface sensor system, inpavement runway guard lighting, and Runway 22R touchdown zone lighting. The project included all new series circuit distribution to Airfield Lighting Vault No. 1 and new constant current regulators for the majority of the modified circuits. Airfield Signage improvements included relocated signage to accommodate four (4) new high-speed exit taxiways and new signage (Taxiway N/N1/N2) and sign panels for the renaming of Runway 4L/22R connector taxiways to conform to Engineering Brief 89.